Extra time spent on commonly missed areas. Extra “elbow grease” put into making sure everything looks great! Extra attention on all surfaces. We have high standards. And if you aren’t already using a professional service there’s good chance we won’t be able to clean your home the way we want (or the way you want) on the first visit without the extra time that comes with a deep cleaning. But starting with our deep clean, it becomes much easier for us to keep your home looking amazing with our regular bi-weekly clean. What Exactly Is A Deep Cleaning? A Top Tier House Cleaning deep clean is like any of our regular cleanings but with even more detail and more time spent. Certain areas of the home simply get overlooked when you’re trying to squeeze cleaning in on top of taking care of kids, cooking dinners, working and trying to relax once in a while. Contact The Top Tier House Cleaning Team! Some of the common areas that we see get overlooked are behind furniture, appliances and under rugs. You may think, no big deal right? Not exactly! Dirt and dust is not only making its way into those areas but it also makes it way out! This is one reason why even after working so hard cleaning your floors you find that an hour later you can’t walk barefoot on them without picking popcorn from last week’s movie night. Crumbs, crud, and dirt are stuck behind everything and it’s coming out whenever it wants! Our deep cleaning service can change that an until you get back into all the hidden spots, your house can only get so clean. While we can’t move heavy furniture or appliances we can do our best to move the light stuff and make sure that dirt deposits are sought out and spruced up. Our deep cleaning service is the best way to prepare your home for our regular cleaning service. 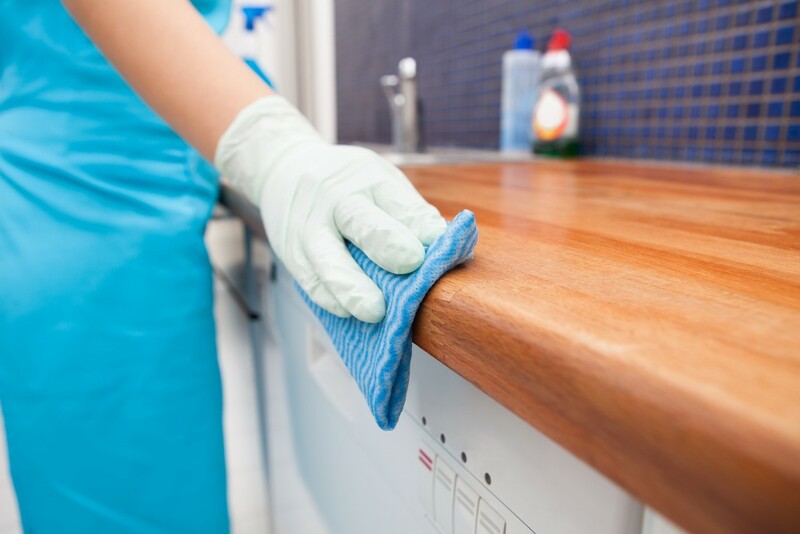 Even if you don’t plan on bringing the Top Tier team on board to handle your regular house cleaning, our deep cleaning service can still help do it yourselfers stay up to date on their cleaning duties. Sometimes you get behind. Life catches up and you end up with not enough time to get everything done. The cleaning is often the first thing to go. Rather than spend an entire weekend catching up, let us help. We can get your home back to top tier shape and then you can take it from there. Carpets, upholstery or other similar materials. Molds or any kind or water damage of any kind. Anything that requires lifting moving or hauling heavy objects. If you move furniture out of the way, however, we would be happy to clean behind it! Not sure where to start with your deep cleaning? It can certainly be a big overwhelming at first when considering everything in your home that may need cleaning. That’s why we recommend starting with a time test and simple strategy: a list! Now this isn’t everything that needs to be done but it will get you started and help you narrow down what you need our maids to handle. Use a duster or extension on your vacuum to hit all the hard to reach places. For the most part that means high and low spots. Above cabinets, fridges and similar and under beds, etc. You could make a whole day out of this alone! Pay extra attention to vent covers which can quickly build up with dust even after a short amount of time. Dust places that often get missed like window sills and the tops of doors. Take care of grease and dirt that has built up on door and other handles throughout your home. Remove hard water stains and lime build up from faucets in the kitchen, bathroom and anywhere else. Clean the inside of your garbage can which almost always needs a cleaning. Remove the cushions from your couch and other furniture and give the inside a good cleaning. Move furniture from its normal location and get behind it with a vacuum. Most of the same rule as above apply but be careful when cleaning your oven. Don’t depend too much on the self cleaning feature! Cleaning the stovetop will depend on the type you have but be prepared to soak the surface or the slide out catch-alls to get things really clean. While we’ve already mentioned looking for everything high and low the stove hood often becomes very dirty and misses out on cleaning. Your microwave is another area where some soaking will be the best option for getting the job done. The dishwasher can be run empty or with a small amount of vinegar to clear out any lingering smells. The sink is hard to forget but it can be easy to forget about making sure you drains and garbage disposal are clean. Sometimes, small pieces of food can build up without getting broken down and pushed down the sink. A little vinegar (as usual) can go a long way here and help break down stubborn debris. Pay extra attention to areas that store your hygiene products like tooth brushes, combs, and wash clothes. These areas can hold a lot of dirt! Your shower curtain may be washing machine (or dishwasher) safe which can often be the best way to get it looking great! © 2018 Top Tier House Cleaning. All Rights Reserved.